Jean-Denis Haas is a long-time mentor of Animation Mentor, a creature guru, and an animator for Industrial Light & Magic. We are thrilled to have him share his tips and tricks for what makes a great creature animator, how to bring life into realistic characters and monsters, and why you need to learn creature animation. Learn more about our advanced creatures courses that are specifically geared towards working professionals. Thank you to Jean-Denis for sharing his knowledge and experience with the Animation Mentor community! 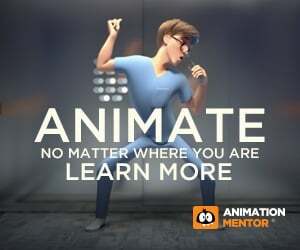 As a studying animator you’re quickly exposed to the principles of animation and the basic exercises that help you learn and understand said principles. Everybody goes through the bouncing balls exercises, pendulums, all the way to the first basic walk. But after having animated a walk you’re tempted to continue with a biped and to dive right into human body mechanics, capping it all off with acting performances based on audio clips. So why should you learn creature animation? The following five points illustrate my thoughts on that question and what to look out for when you do decide to animate creatures. As you can see the majority, if not all movies on companies’ resumes include creatures. I could continue with a list of movies for Disney, Sony or add movies like “Free Birds”, and this only covers feature animation. If you look at the resume of companies like Industrial Light and Magic, WETA, Tippet, Sony, or the late Rhythm & Hues, you will quickly realize that creatures are an essential part of the work animators do at these companies (and many other companies I haven’t listed). So when you assemble your reel you have to think about the target audience, meaning, your reel has to be tailored towards the company you’re applying for. An animation reel for Pixar is going to look vastly different than a reel for ILM. It’s important to study what a company is working on and what type of animation they’re doing style wise, but it’s also important to look at the type of characters. So in short, why would I want to learn creature animation? The answer is because the moment you start working at a company chances are that’s what you will be animating. 2. Diversity in your reel. If you look at student animation reels focusing on feature animation you will most likely see a 20 to 30 year old male or female human character performing a variety of actions. For a while it was mainly a male character, due to the limited availability of female character rigs, but thankfully female rigs are more accessible nowadays. Still, I wouldn’t say that it is common to see a really old character, or really young, or skinny, big, tall, etc. and the lack of diversity is really limiting your reel. Each shot on your reel should demonstrate a new skill set, ranging from weight, body mechanics, pantomime to performance. You don’t want to have 10 weight lifting exercises, but to me the same goes for characters. Why would you want to show the same type of character over and over? I don’t think it highlights your skill set enough and it is also limiting your acting performance possibilities. When you start animating creatures don’t just think in terms of realistic creature behavior where you apply what you’ve been studying in your reference material. Don’t limit it to just a study of real life. Think about how you can use specific animal behavior to supplement and enhance your acting performances. Once you start adding creature animation to your performances you can get a very interesting mix of both worlds by going back and forth between creature behavior and human acting. For example, imagine a creature moving from A to B to an object, inspecting that object and then delivering a line of dialogue. That type of shot displays creature locomotion, anthropomorphic performance through pantomime supplemented by lip sync. That’s three different type of exercises combined into one. It gives you the opportunity to show that you’ve studied how the creature moves and how you stylize that movement so it’s not just rotoscoped. You can then also show how you transition from body mechanics to performance and how the creature’s distinct animalistic features influence the performance. 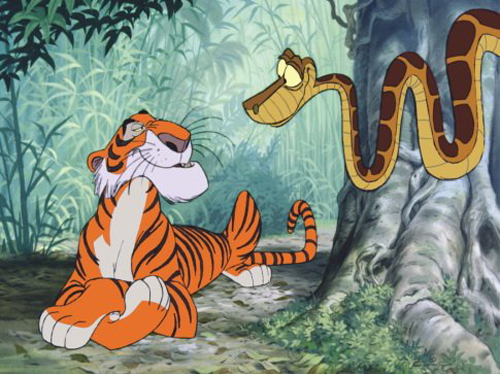 A good example would be the snake Kaa from Disney’s Jungle Book with the constant tongue hissing. In short, once you start mixing animalistic and human behavior you get a much bigger variety of acting choices which makes it more entertaining to watch but at the same time you’re also able to demonstrate different skill sets within one shot. 3. Root the performance in reality. One of the essential aspects when it comes to depicting creature animation with a bigger emphasis on realistic behavior and animalistic performance is to base your creature movement on a real life counterpart. If you have a fantasy creature with a very abstract design and you put on top of that movement and behavior that resembles no living creature on this planet then the audience might completely reject that creature and never feel any sympathy or empathy towards it. 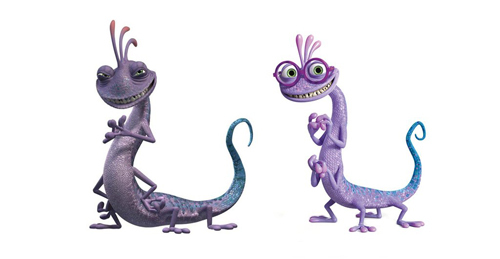 The moment you have behavior that’s even just a little bit similar to an existing creature the audience will be able to make a connection based on familiarity and ground that fantasy creature in reality. A common example would be to study gorillas when animating ogres. I’m generalizing but it’s a good starting point. If you’re animating a dragon, does the dragon use its wings for movement on the ground? If yes, then bats would be good reference material. You can also combine multiple animal behavior and mechanics, but be careful to not just pick an animal because it looks the same as your creature. You have to consider size discrepancies and environmental influences. By that I mean, your creature might look like an eagle so you’re tempted to use the flight mechanics and timing of that animal, but what if your creature is a lot smaller than an eagle or a lot bigger? You might love how a hummingbird moves but does that type of movement work on a creature that’s as tall as a skyscraper? Your fantasy creature might live underwater but look like a land-based creature, so is it going to swim like an alligator or like an elephant? The creature might live in an environment which is exposed to really heavy winds and storms, so the flight mechanics or ground locomotion might be more influenced by creatures who are able to withstand such forces of nature as opposed to just going by visual similarities. Of course you might run into a situation where none of that matters and the main objective is to make it look cool, but I would say most of the time it’s very helpful to add real life behavior to a fantasy creature in order to make it feel more “real”. 4. Get the weight right. Physics are very important regardless of the style of your animation. The more stylized your animation is the more freedom you have to tweak physics of course but the moment you ignore proper weight distribution, conservation of momentum and dissipation of kinetic energy, believability goes out the window. There is a reason why every student should start with bouncing balls. It’s really important to master the illusion of weight. Can you make three balls of the same size look and feel like a bowling ball, a basketball and a balloon? A lot of complex creature animation can be reduced to bouncing balls and it all comes back to being able to show proper weight through timing and spacing. For this point I want to concentrate on a specific area that can make or break your shot. It’s something that is missing not only in student reels but also in feature movies (for different reasons though) and an area I have to constantly pay attention to. It’s the difference between muscle driven movement and physics driven movement. For example: if you take an ogre that rests on all fours and rears up to pound his fists against his chest and falls back down, you have a clear separation of muscle and physics driven physics. When it gets up at the beginning it’s all based on the strength of the arms, legs, chest or whatever is driving that motion. The speed and weight is determined by the muscle groups and body mechanics, which gives you a certain flexibility in terms of timing and weight, but the moment the upwards movement hits its apex and is coming back down it is purely driven by physics. The ogre won’t be able to fall down faster than physics dictate. The only way to achieve that is if the ogre is pulling himself down or is being pulled or pushed down by an external force. Circling back to my feature movie comment above, one of the tricky things when dealing with life action plates is that you might have to alter your animation based on the existing camera move. The camera could tilt down too fast, forcing you to accelerate the character’s drop in order to keep it in frame, or a live-action element might explode at a certain frame and that will dictate the timing of the character’s touch down while having to consider the timing of the initial camera tilt up for the jump, etc. etc. There are unfortunately a few limitations when dealing with live-action plates. But if times permits and the camera move allows you, make sure that your creature is not breaking the laws of physics, even stylized physics, when the movement is not based on voluntary action like a push off or jump and involuntary action like an external force pulling or pushing you down (or up, or sideways, etc.). Contact between two or more characters is difficult to pull off in CG animation and you rarely see it on students’ reels. It’s understandable since it is already difficult enough to make it all work with one character, let alone two! 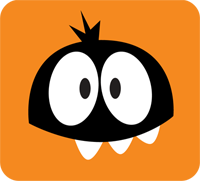 But today’s animation landscape is very competitive and interaction between characters is a great opportunity to go above and beyond and add more complexity to your shot, and creatures offer great opportunities to do just that. For example: imagine the interaction between a mother and her kids. Depending on the type of creature, they could be hanging on to her, resting on her back, crawling all around her. Going back to what I mentioned about performances, what if you combine a dialogue shot between parents with said interaction? You could have the mother animal trying to show something to the father but the kids are on top of her head, crawling over her face while she tries to say something. You’re combining performance, animalistic behavior and interaction, which would make for a very impressive and entertaining shot. Any type of fighting is going to have interactions between the creatures. But don’t limit yourself to just punches and kicks or claw swipes. Try to have creatures tackling each other, hanging onto each other, ripping apart limbs, etc. These type of interactions are much more complex and less clean. A punch is fairly clean due to minimal contact time. But a smaller creature jumping on top of a bigger creature and trying to claw the bigger creature’s eyes out is going to necessitate a lot more contact time and the complexity of the interaction is going to increase by a lot. You can also combine creatures with humans. Let’s say a human character has a pet lizard or rat. The creature can be moving over the human’s shoulder down the arm onto a table. The examples are limitless! 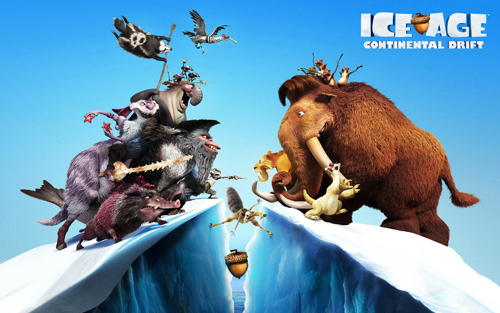 All in all it is only in your best interest to learn creature animation. Your demo reel will be more varied, which in turn will set yourself apart from the competition and therefore increase your chances of getting noticed by recruiters. I hope this was helpful in any way and if you have any questions, feel free to contact me! Thank you so much guru!